INDEPENDENCE, Ohio, September 15 — The International Brotherhood of Teamsters is offering Disaster Relief assistance to members living in Florida after Hurricane Irma damaged homes and property beginning on September 10, 2017. Available from the BLET website are Teamster “Disaster Relief Alert Notices” and “Request for Help” forms. If you live in the affected area and experienced a loss due to this FEMA-declared major disaster, please download and submit the forms. For questions, contact the Teamsters Disaster Relief Fund office at (202) 624-8971. Members living in the following Florida counties are eligible to apply: Brevard, Broward, Charlotte, Citrus, Clay, Collier, DeSoto, Duval, Flagler, Glades, Hardee, Hendry, Hernando, Highlands, Hillsborough, Indian River, Lake, Lee, Manatee, Marion, Martin, Miami-Dade, Monroe, Okeechobee, Orange, Osceola, Palm Beach, Pasco, Pinellas, Polk, Putnam, Sarasota, Seminole, St. John’s, St. Lucie, Sumter, and Volusia. Be sure to include all requested documentation. The deadline to apply is December 15, 2017. To help increase awareness of this valuable benefit, members who live and work in the affected areas are asked to print and post these Disaster Relief Notices at their places of work. Previous notices are archived on the BLET National Division’s website, http://www.ble-t.org/disaster. 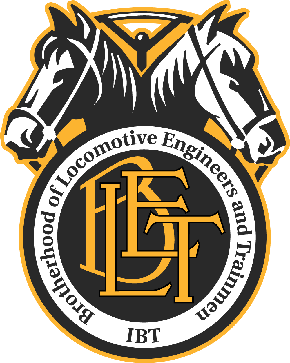 Also, members are advised that the BLET National Division does not administer this program. Questions regarding the application process, pending applications or other inquiries should be directed to the Teamsters Disaster Relief Fund office at the telephone number provided above.